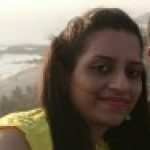 We all know that our body needs extra energy during pregnancy. The additional intake compensates for the energy deposited in maternal and fetal tissues, and the calories you burn for enhanced basal metabolism (1). Moreover, if you are physically active, then your body burns more energy during pregnancy. This is why you need energy replenishing drinks, which will also keep you hydrated. 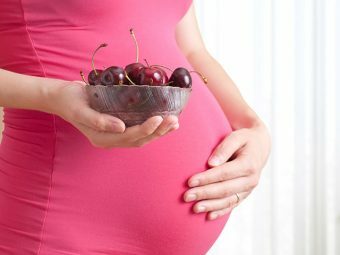 Here, MomJunction gives you a list of homemade energy drinks that you can consume during pregnancy. We also tell you why you should keep away from the readymade energy drinks available under different brands. These drinks are safe to consume because you are making them at home, and you know about the ingredients that are going into them. Let’s check out the list now. Helps ease up the symptoms of a headache and nausea. Reduces the risk of urinary tract infection during pregnancy. Helps in the formation of amniotic fluid. Keeps the blood cells healthy. Is high in vitamin C content. Vitamin C helps the body absorb iron better for the formation of RBCs. Helps deal with morning sickness. It can be consumed with mint and ginger for better relief. 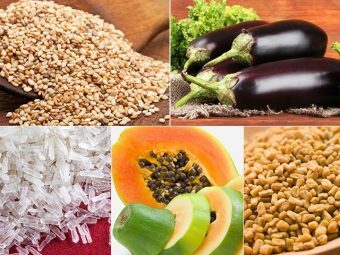 Is rich in electrolytes, potassium, chloride, and magnesium (4). 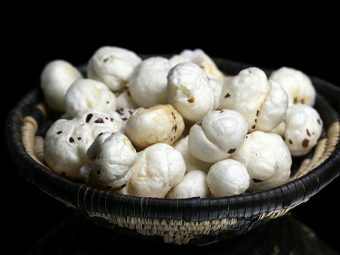 Is an excellent source of calcium, dietary fiber, manganese, riboflavin, and vitamin C.
Prevents dehydration and restores the salts in the body. Aids in lowering the blood pressure (5). Consists of probiotic bacteria that help maintain a healthy digestive system. Helps in reducing gastric problems that arise during pregnancy. Fresh fruit juices are great beverage choices during pregnancy. They keep you hydrated and energetic throughout the day (6). Fresh fruit juices are rich in vitamin C, potassium, immune-boosting antioxidants, and essential micronutrients like folate. They help in maintaining fluid and electrolyte balance in your body. Avoid packaged juices as they contain artificial flavors, added preservatives, and high sugar. Fresh fruit juices like pomegranate help you avoid pregnancy complications such as preeclampsia (7). Make a mixed fruit juice by blending seasonal fruits such as watermelon, musk melon, and sweet lime, so that you can reap the benefits of all those fruits. However, drink them without adding any sugar or salt. Also, remember that fruits are always a better choice than fruit juices. i. Rooibos tea (8) is rich in antioxidants. Boil a teaspoon of rooibos leaves in a teapot. Steep it for three to five minutes, strain and enjoy the tea. ii. Mint tea reduces symptoms of morning sickness. Put green tea in boiling water. Steep the tea for two minutes and add mint and sugar for the flavor. The tea is ready to drink. iii. Red raspberry leaves tea regulates contractions during labor (9). Take one teaspoon of red raspberry leaves and add a cup of boiling water to it. Steep it for 10 to 15 minutes, strain and drink it. Fresh vegetable juices help meet your daily nutrient intake during pregnancy. They are rich in vital nutrients and give a good dose of fiber. They are a good source of folic acid, which helps prevent neural tube defects in your baby. Carrot juice is rich in beta-carotene that aids in developing your baby’s vision, building body cells and tissues, and immunity function. Cruciferous vegetables like spinach, broccoli, and cabbage are rich in proteins and folic acid. Just like fruits, vegetables eaten as solids are better than juices. Milk is a natural source of vitamin B12, calcium, and protein, making it a must-have drink during pregnancy. Milk-based drinks boost your energy. You may drink fresh sweetened yogurt (lassi) or chilled skimmed milk, which are coolants. The energy drinkis a great alternative to caffeinated drinks. It is rich in omega-3 fatty acids, proteins, and antioxidants. Soak some chia seeds in a jar of water and stir well. Leave it for ten minutes till the seeds swell up. Add fresh lime juice to taste. Smoothies make fruits interesting, especially if you do not like fruits. Make them as pre-breakfast drink and top up with some greens or nuts. Fruit smoothies are packed with calcium, protein, and fiber, which are essential to keep your body fit and active during pregnancy. You can make smoothies with fruits like bananas, chickoos, strawberries, and mangoes or you can opt for green smoothies. Have it in limited quantities as it has caffeine in it. Place a teabag in the teapot. Add two cups of boiling water and steep it for three to five minutes. Remove the teabag and add a little amount of sugar to it to enjoy the drink. You can also add a few sprigs of mint or a slice of lemon for the flavor. Moreover, it helps in curbing morning sickness during pregnancy. There are a variety of traditional herbal drinks to choose from during your pregnancy. Jal-jeera (mint and cumin seeds) and aam panna (raw mango drink) work best for you in hot summer months. These drinks have a unique taste and are easy to consume. The natural coolants keep your body hydrated. For preparing these drinks, use organic and fresh ingredients. Wash the fruits and vegetables properly before making juice or smoothie. Wash your hands and all the utensils before using them for making these drinks. There is no doubt that you take utmost care while preparing drinks at home. But what about the energy drinks we get in the market. They are easily available and boost your energy instantly but you need to consider their safety as well. 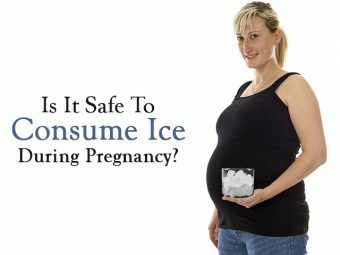 Are Readymade Energy Drinks Safe during Pregnancy? Readymade energy drinks contain common ingredients such as taurine, caffeine, guarana, ginseng, gingko biloba, B vitamins, sugar, L-carnitine, antioxidants, creatine, yerba mate, milk thistle, and glucuronolactone. Energy drinks contain caffeine in a high amount that can lead to miscarriages and low birth weights (10). Every serving of readymade energy drinks contains about 200mg of caffeine compared to 100mg in 8oz of coffee. Caffeine can pass through the placenta and reach the baby, who cannot metabolize the complex compound. It interferes with the baby’s breathing patterns and heart rate. For a pregnant woman with gestational diabetes, the excess sugar content found in energy drinks can pose problems. Also, it adds extra calories to your diet. Similarly, the branded energy drinks contain vitamins and could lead to over-consumption of vitamins. Intake of ginseng could pose problems to the fetus. Therefore, branded energy drinks during pregnancy are usually not recommended . You may want to avoid branded energy drinks such as 5-Hour Energy, Red Bull, Monster energy. 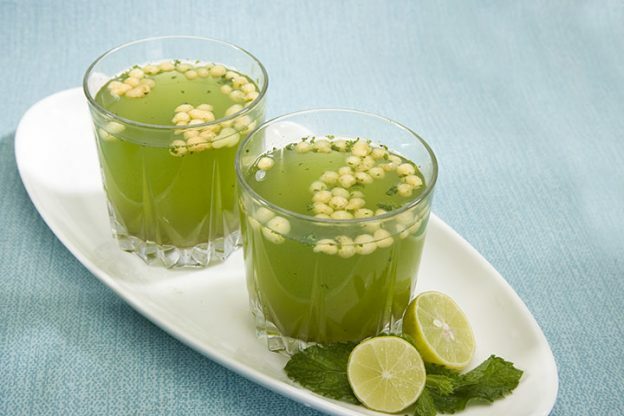 The homemade drinks boost your energy levels and also satiate your taste buds to an extent. Most importantly, they benefit your pregnancy in various other ways as well. However, you need to keep a check on your calorie consumption. Excess calories will increase your weight. 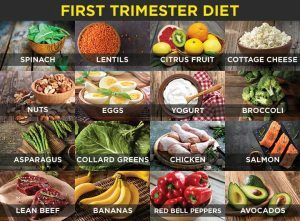 Therefore, talk to your doctor and find out if you need these energy boosters during pregnancy or your current balanced diet is good enough to sustain the levels. Pick your favorite drink from our list and share it in the comment section.